Forty milestone donors were celebrated this week for their commitment to the Welsh Blood Service, with two guests reaching their 100th donation milestone after decades of donating. At an award ceremony held at the St. 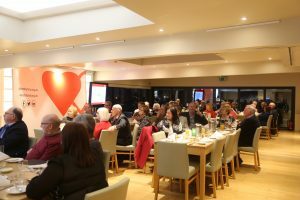 Brides Hotel in Saundersfoot, local blood donors celebrated their 50th, 75th and 100th donations alongside four bone marrow donors, who were potentially one of the only matches in the world capable of saving their recipients. A staggering 6,312 lives have potentially been saved between the forty donors as each blood donation received can save three lives. To reach the award ceremony, you would need to donate whole blood for over ten years. The Welsh Blood Service hold award ceremonies across the country for donors who have contributed by donating their bone marrow or by making more than 50 blood or platelet donations. “I was on the register for over twenty years when I got the call that I was a match for somebody. The process of donating bone marrow was absolutely fine. “I was told the chance of the patient surviving was between 65% – 70% because of my donation, which is incredible to know. The WBMDR is a register of blood donors who have volunteered to become bone marrow or peripheral blood stem cell donors. The register is searched every day by clinicians from across the world who are trying to find donors whose tissue type is a close match to patients who need lifesaving bone marrow or peripheral blood stem cell transplants. 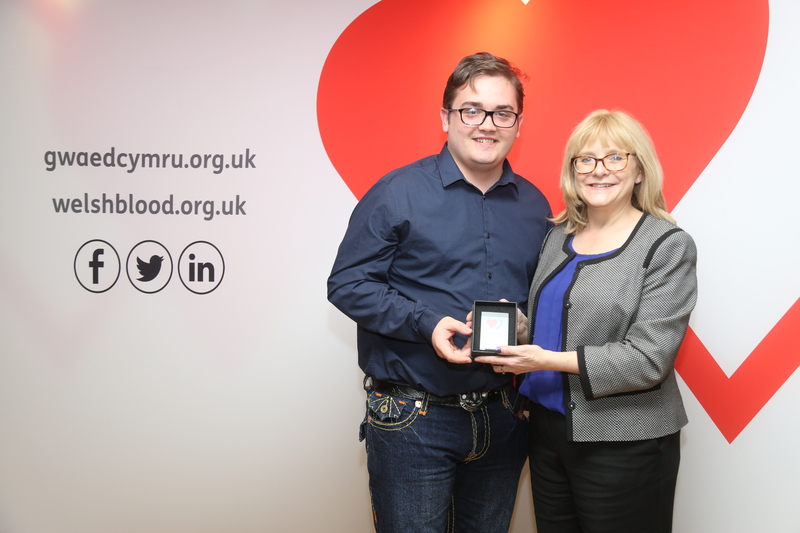 Emma Cook, Head of the Welsh Bone Marrow Registry, said: “Becoming a bone marrow donor is so much easier than most people think and just requires providing an extra sample of blood at your next donation. The Welsh Blood Service will be in Tenby Leisure Centre on Friday 23 March 2018 between 11.00-13.30 & 15.00-19.00. The session is a ‘walk in’ clinic, no appointment necessary. For more information visit welsh-blood.org.uk or call the Welsh Blood Service on 0800 252266.